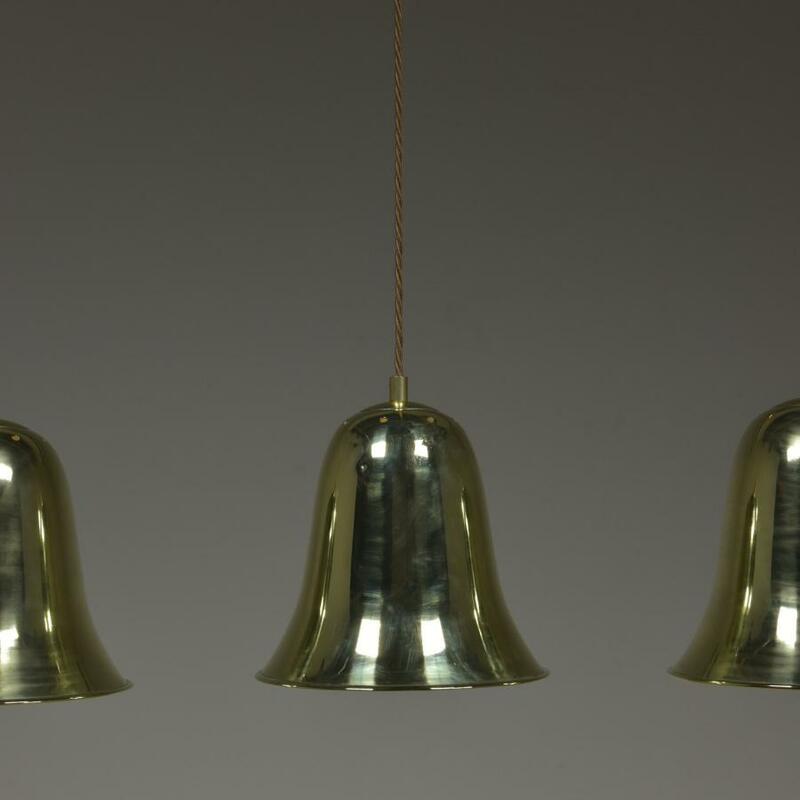 A trio of antique brass bell shades c1900. 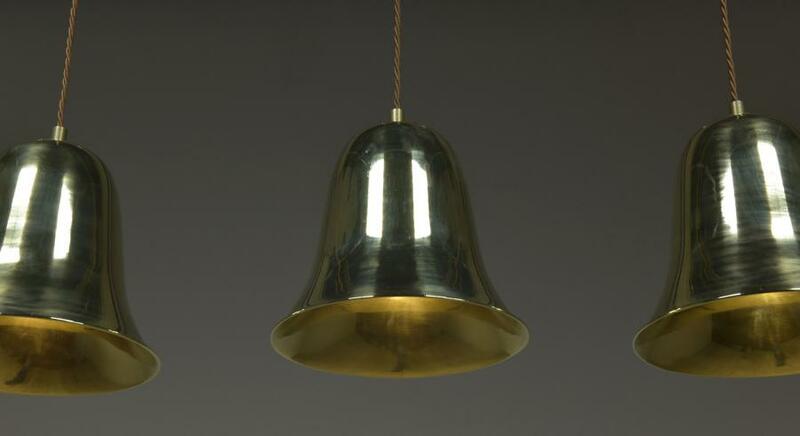 Maybe these rare brass spun shades were from a good arts and crafts light fitting. 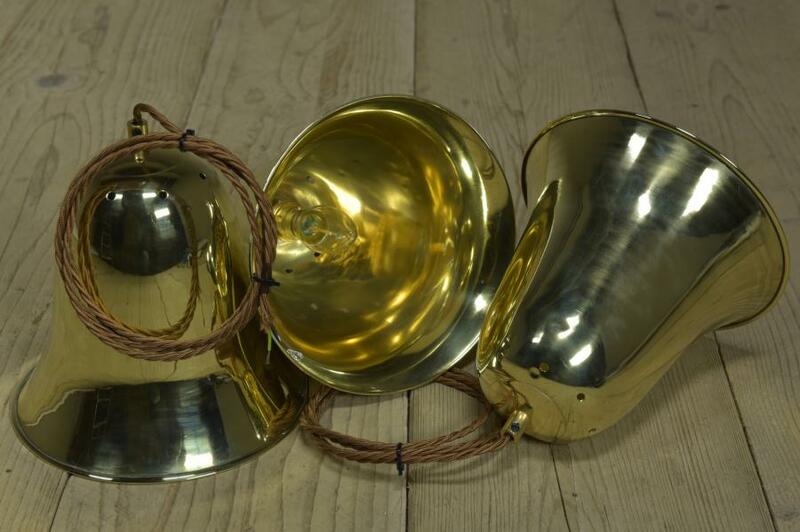 Dimensions in inches/cms; 8"/20cmx tall by 8"/20cms diameter approx 0.75kg each in weight. 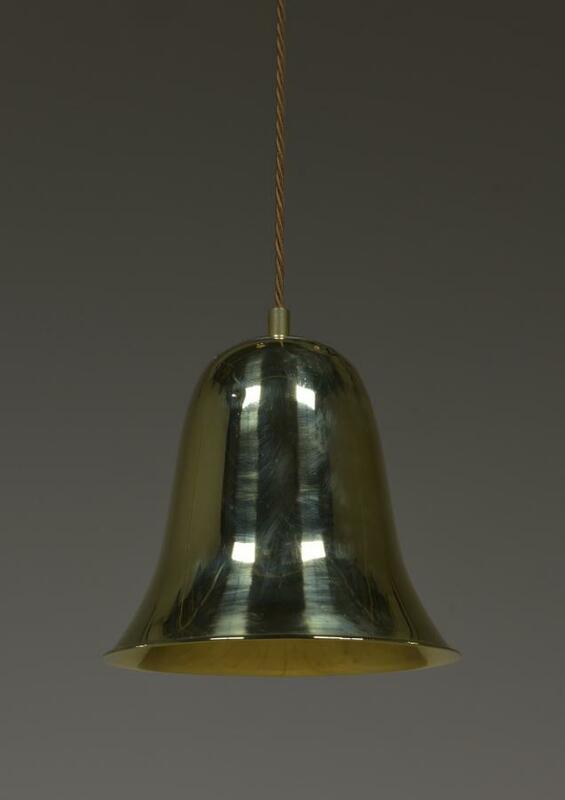 Rewired with 1.5 meters Havana gold flex. To be sold as a set. For more / higher res images please see my blog which can be accessed through the news section of this (haes) website.